There's no question our local military is a major player impacting our economy. But as major cuts to defense spending are implemented, how great is the effect? The Military Economic Impact Study released Thursday by San Diego Military Advisory Council (SDMAC) covers the direct impacts of automatic budget cuts that started in March. Amidst budget cuts and post-war downsizing, San Diego's military and defense community still carries the economic punch for the region. "The major take away from the report is just how important the military is to the city and county of San Diego," said RADM Patrick Lorge, Commander Navy Region Southwest. There's no question our local military is a major player impacting our economy. But as major cuts to defense spending are implemented, how great is the effect? NBC 7's Lea Sutton reports. According to the study, the military was responsible for almost $25 billion flowing into our economy, and more than 1 in 5 jobs last year. And the impact of each of the two aircraft carriers stationed here is about half a billion dollars. "We see of course those carriers employing a lot of people but they’re also buying food, they're paying for port services they need, all the maintenance and repairs," said Dr. Lynn Reaser, Ph.D., the report's chief economist. But with defense spending on the decline, the ripple effect is spreading. 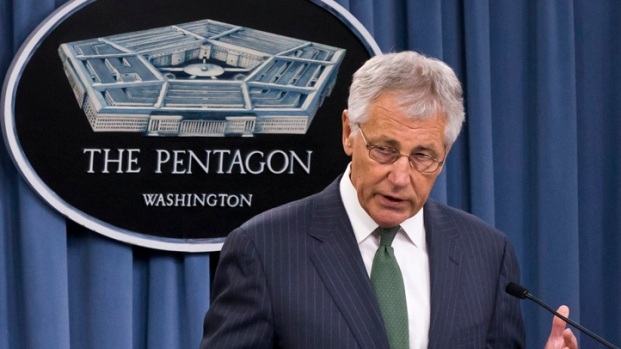 NBC 7 reporter Lea Sutton takes a look at the choices Defense Secretary Chuck Hagel faces with budget cuts. The U.S. Marine Corps is on course to drop from 202,100 Marines to 182,100 by 2016. The Corps has said they expect to be halfway to their goal of cutting 20,000 Marines by the end of this fiscal year. Sequestration cuts that began in March resulted in local defense civilian workers facing furloughs and an uncertain future. Larry Blumberg, Executive Director of SDMAC estimated 10-percent, or 18,000 jobs were lost in the defense contract industry in the San Diego region. The military commissary will now be closed on Mondays due to sequestration budget cuts. NBC 7’s military reporter Lea Sutton speaks with local Navy families about how this will impact their lives. 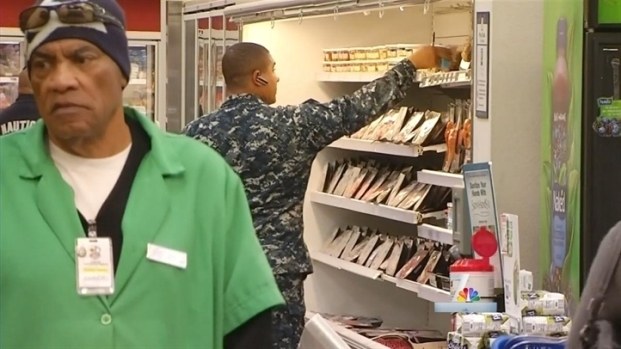 From July to September, San Diego military families saw hours change in Navy commissaries. Of course one of the more visible results of the military budget cuts was the recent decision to remove military aircraft from the upcoming Miramar Air Show. "The military have drawn down their reserve funds, they've cut back on training, cut back on maintenance, and we'll see further cutbacks going forward," said Reaser. Yet with pressures of a shrinking budget looming, San Diego's defense advantages may protect us in the years ahead. “We have advantages in cyber security, special forces, unmanned vehicles and weapons, and so San Diego fits in very well with the Defense Department’s new strategy, and so that will help us weather the storm better than many," said Reaser. Also likely to buffer San Diego from the economic blows of shrinking defense budgets is the new defense strategy’s "pivot to the Pacific" plan. The intent is for 60 percent of all Navy forces to be in the Pacific by the year 2020, and that's a 10 percent increase from what we have now.